More about iittala Toikka Uuno Uuno greets each day not with an audible crow, but with his proud stance, distinguished comb and alert tail. The first interpretation of a rooster by Professor Oiva Toikka in over 15 years, the special-edition bird is impressive both in concept and craftsmanship. 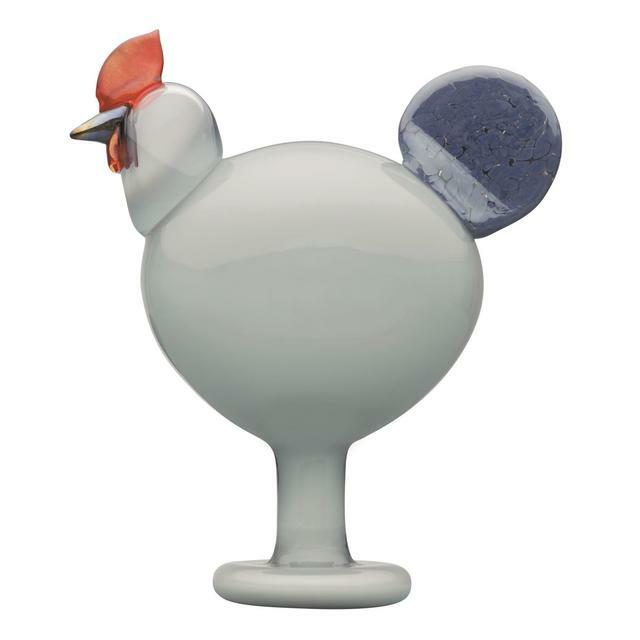 Each striking feature is mouth-blown in Finland by master iittala artisans, making each individually handcrafted iittala Toikka Uuno a unique piece of glass art history...A cool smoky grey, the plump body is held high on a footed pedestal. The opalescent glass of the beak and speckled texture of the tail add interest to the statuesque yet simple silhouette. Each limited-production iittala Toikka Uuno carries �O. Toikka IITTALA� on its base to ensure authenticity.